The founders of online dating sites like Match, JDate, and even Tinder (which is owned by Match) want you to use their sites to meet a significant other. Online dating makes it so much easier to connect with people. And these sites get a thrill out of touting their success stories—using anything from online advertisements to Times Square billboards—and contributing to the ever-growing statistic of how many relationships started online. I love this! Yesterday, I learned that Spark Networks, which is the parent company to JDate, Christian Mingle, and LDS (Latter Day Saints) Singles—which are all the exact same site with different branding, for what it’s worth—will pay $500 thousand in penalties and up to almost $1 million in restitution to customers whose subscriptions automatically renewed without explicit permission or whose refunds were denied when requested. 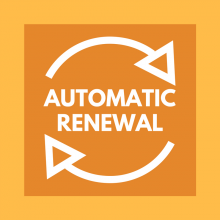 These sites will never, of course, get rid of automatic renewals—this is their lifeblood—but they will make it easier for customers to both opt in and opt out. What am I saying here? That online dating sites are bad? Of course not! I made a whole career out of using them since I think they’re so nifty. I’m just saying that they have two very conflicting motives—success for you and success for them. Just check your credit card statements every month, and you’ll be A-okay. Hi. We spoje a few months ago. I didn’t need an online coach, but may consider a real live Matchmaker, if you can refer me to one in NYC/ Nassau, LI. You made a good point about dating sitessites renewal policies and the fact that they financially, they benefit when clients don’t match match, but are hopeful. Of course that’s why additional profile pictures are available for view when one simply needs to shut down and go to bed! I am glad that there was a successful legal suit against unendorsed renewals. I’m sure that you have advised your clients to use a prepaid credit card so that losses can be minimized. All the best to you and thanks for your preceptive blogging.